It’s only the third year the World Touring Car Championship has raced at Vila Real, but track safety is once again in question after a freak accident. During free practice Saturday, a mechanical malfunction saw driver Tom Coronel’s car lose control and slam straight into the side of a parked ambulance. The Circuito Internacional de Vila Real is a 2.8-mile street circuit located in a heavy metropolitan area of northern Portugal. As such, certain corners are really tight and space for cars to exit in an emergency is few and far between. 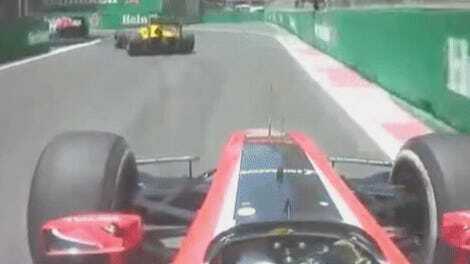 Coronel’s bizarre accident, it seems, exposed a weakness in the safety of this particular corner. During Saturday’s free practice session before qualifying, as Coronel slams on the brakes entering turn 22, his Chevrolet Cruze initially begins to slow but starts a wobble seen onboard and from the outside. With reduced braking capabilities and a loss of steering, Tom’s car hops a kerb and slams smack dab into the passenger door of a waiting ambulance. Thankfully no one was hurt and everyone, including the ambulance driver, escaped the incident unscathed. “That was a big one… damn it, the wheel went off,” Coronal said on video. 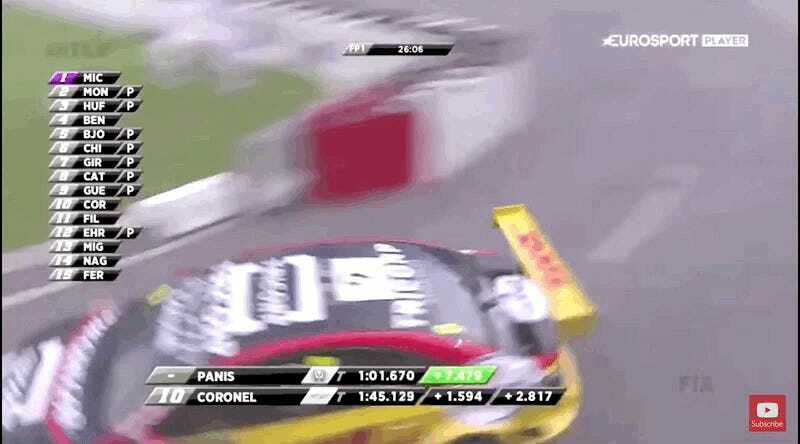 Coronel later told Motorsport.com that the wheel completely snapped off, causing irreparable damage to his car. 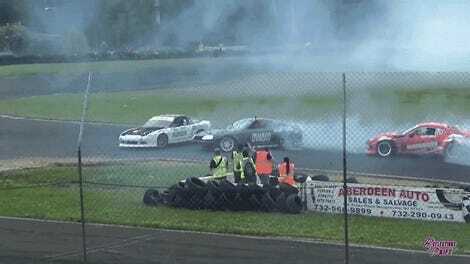 He also had a lot of understeer around the circuit before the crash, according to the website. This isn’t the first time the safety of the track has been brought into question. Numerous WTCC drivers expressed their concerns on some of the kerbs and being immovable in nature as early as 2015. And it wasn’t long ago that the track’s borders were stone wall instead of armco barriers. Safety is an ongoing effort at any track and accidents like this expose a track’s safety weaknesses. Hopefully, WTCC race officials can take this as an opportunity to improve on each and every runoff area to make sure they’re as safe as possible for drivers.